The Early Reading Incentive Grant (ERIG) program was administered by the Kentucky Department of Education (KDE) and provided funds for schools to implement early reading models in the primary grades. McIntyre, E., Powell, R., Coots, K., Jones, D., Powers, S., & Deters, F., & Petrosko, J. P. (2007). Reading instruction in the NCLB era: Teachers’ implementation fidelity of early reading models. Journal of Educational Research and Policy Studies, 5(2), 66-102. Jones, D. L., Powers, S. W., Norman, A. D., Bintz, W., Cox, A., Davis, M., Greenwalt, Y., Higgins, P., & Newsome, F. (2006). Still unequal: A critical exploration of early literacy instruction with primary teachers and implications for policy. In M. C. Brown, R. D. Bartee (Eds. ), Still not equal: Expanding educational opportunity in society. New York: Peter Lang. McIntyre, E., Rightmyer, E. C., Powell, R., Powers, S., & Petrosko, P. P. (2006). How much should young children read? A study of the relationship between development and instruction. Literacy Teaching and Learning: An International Journal of Early Literacy, 11(1), 55-76. Rightmyer, E. C., McIntyre, S., & Petrosko, J. M. (2006). Instruction, development, and achievement of struggling primary grade readers. Reading Research and Instruction, 45, 209-242. McIntyre, E., Petrosko, J. P., Powers, S., Jones, D., Bright, K., Powell, R., & Newsome, F. (2005). 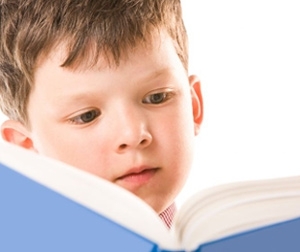 Supplemental instruction in early reading: Does it matter for struggling readers? Journal of Educational Research, 99(2), 99-107. Jones, D. L., Powers, S. W., Cox, A., Bintz, W., Christian, B., Davis, M., Greenwalt, Y., & Higgins, P. (2003). An examination of early reading intervention instructional practices for diverse groups for the primary grades. International Journal of Learning. 10, 2339-2360.